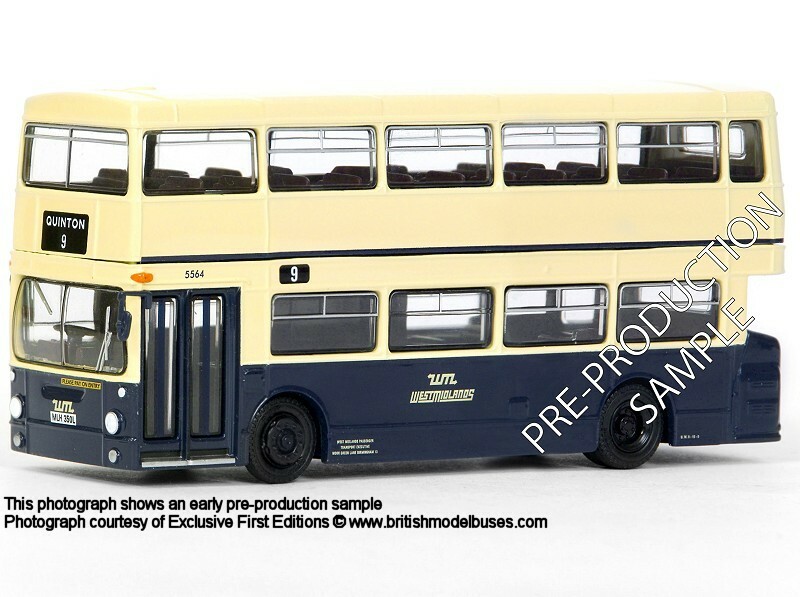 Corgi have today sent me their list of scheduled releases between now and week commencing 1st June. 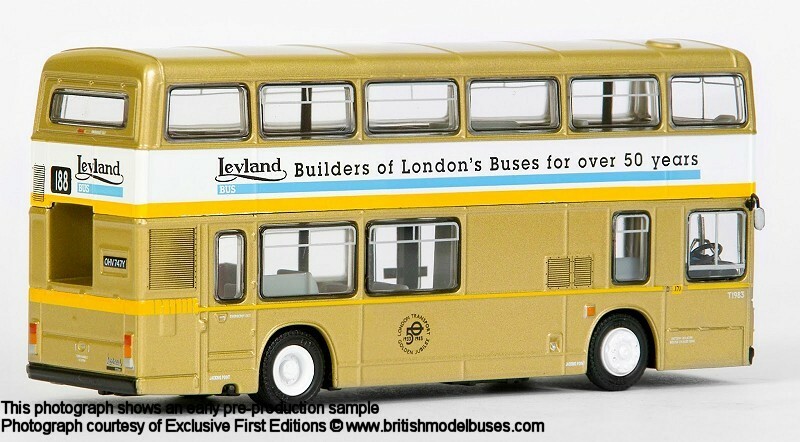 There are NO buses scheduled for release at this time. 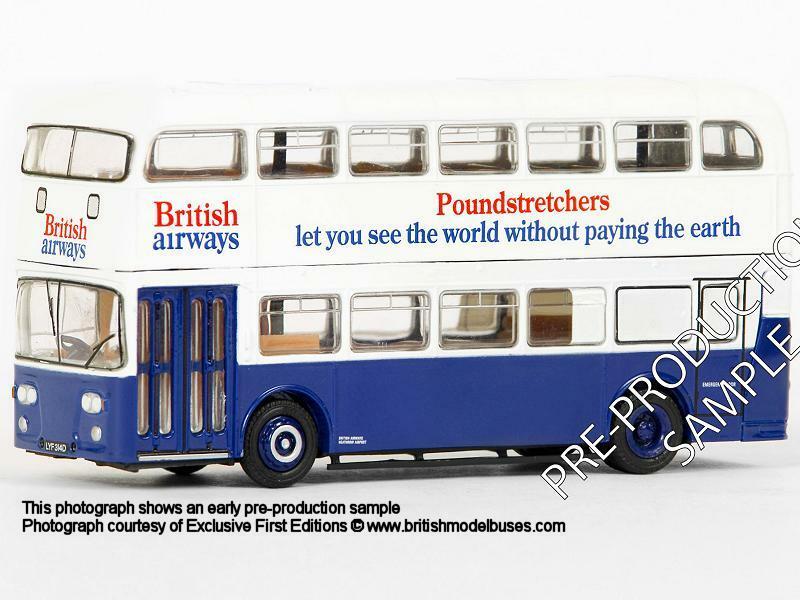 I will let you know as soon as I hear of any being scheduled for release. 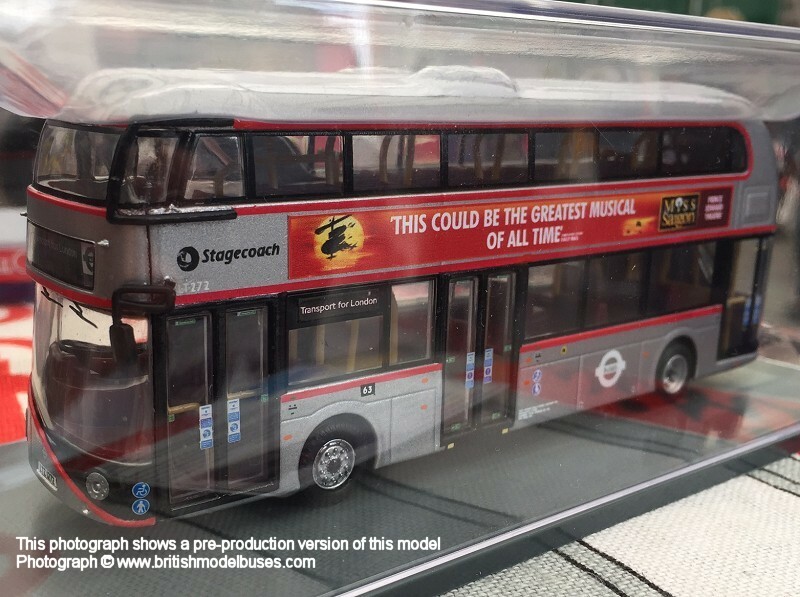 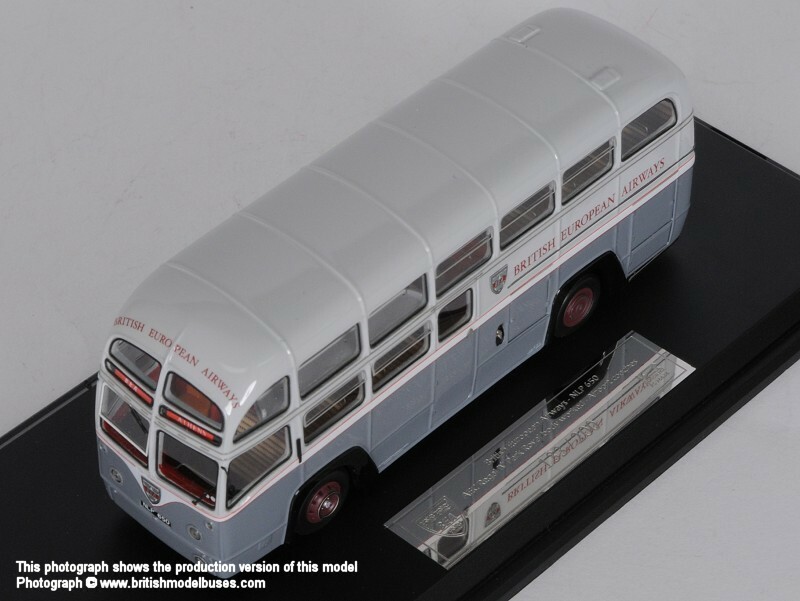 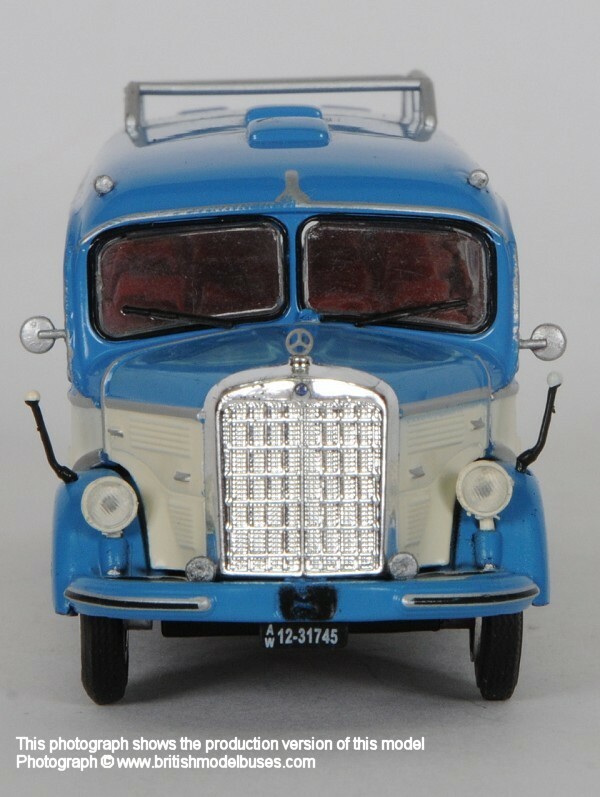 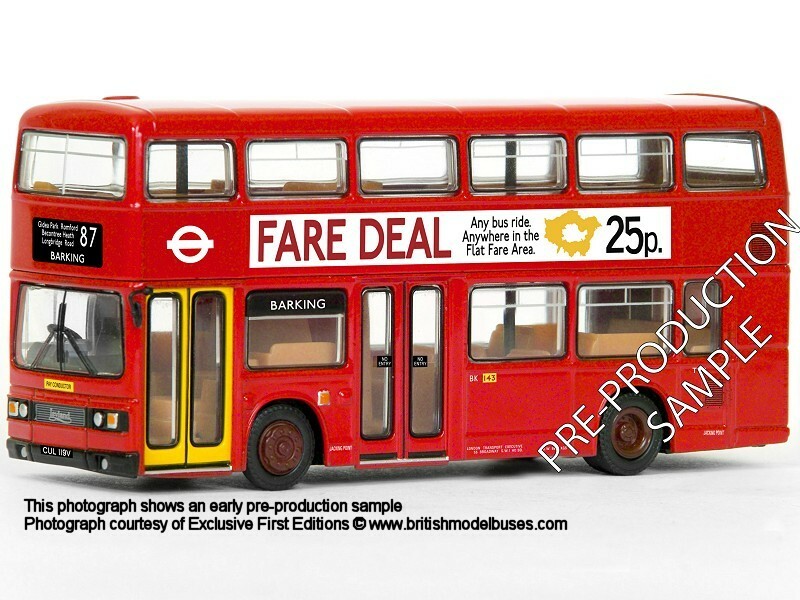 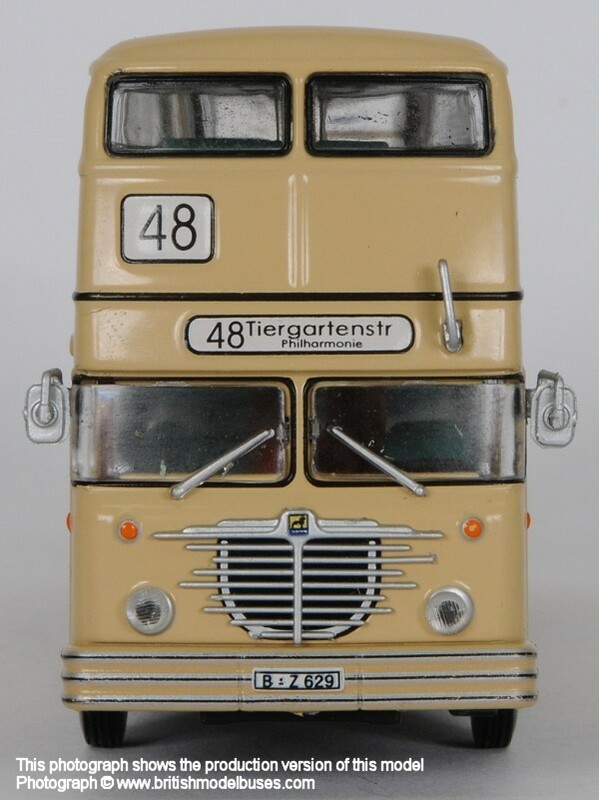 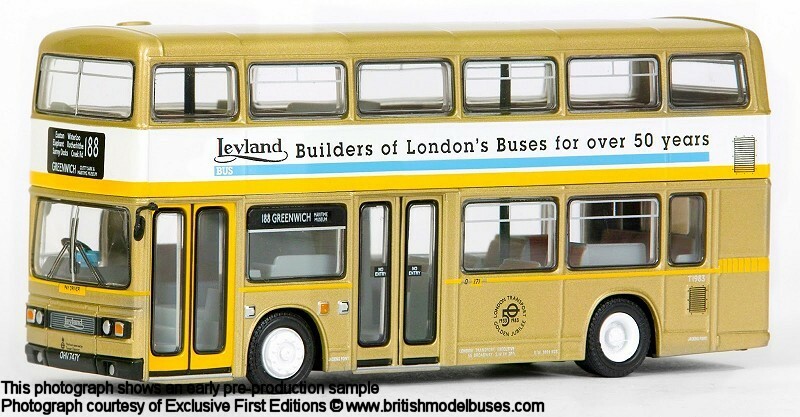 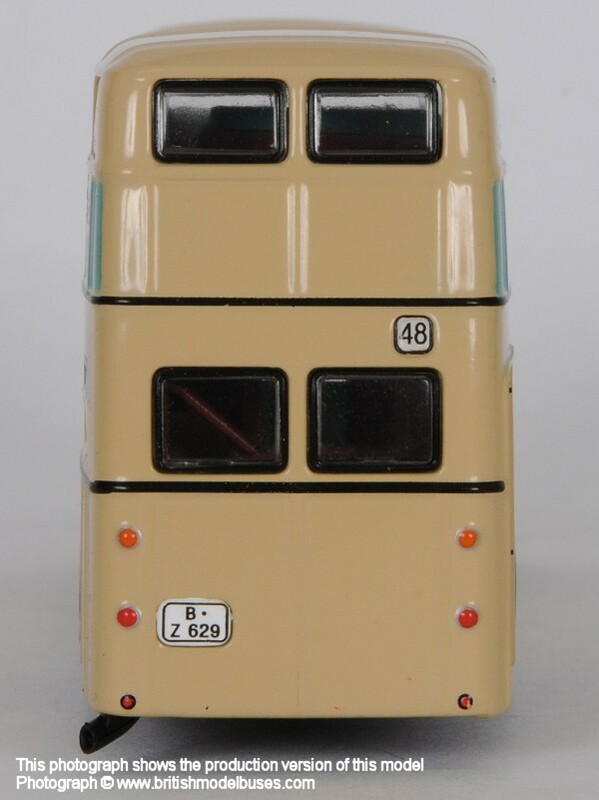 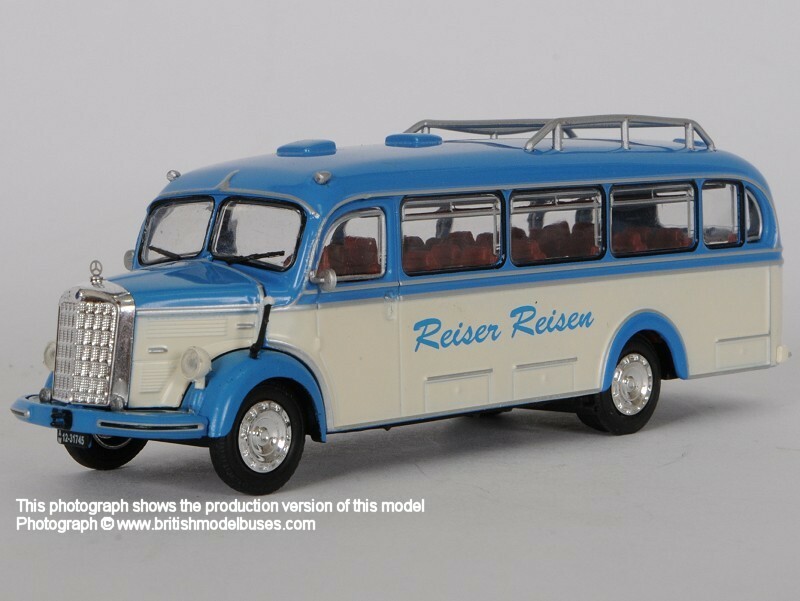 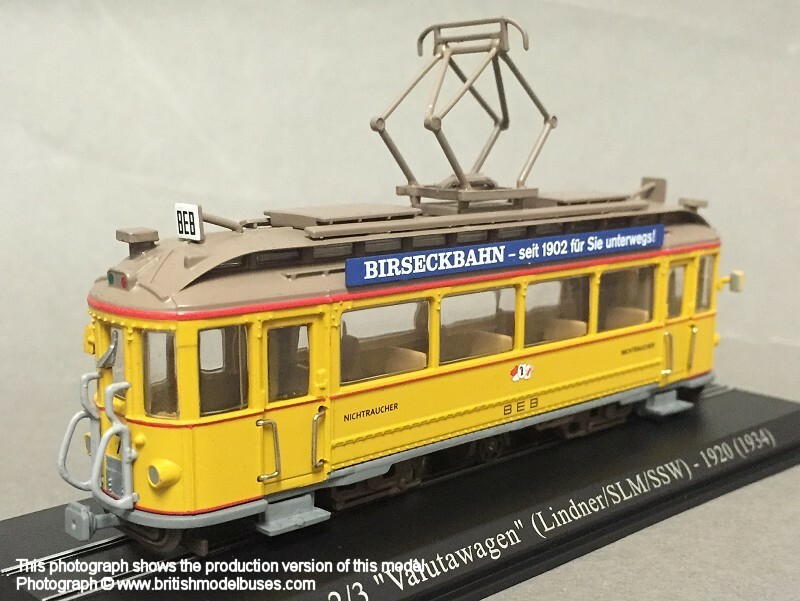 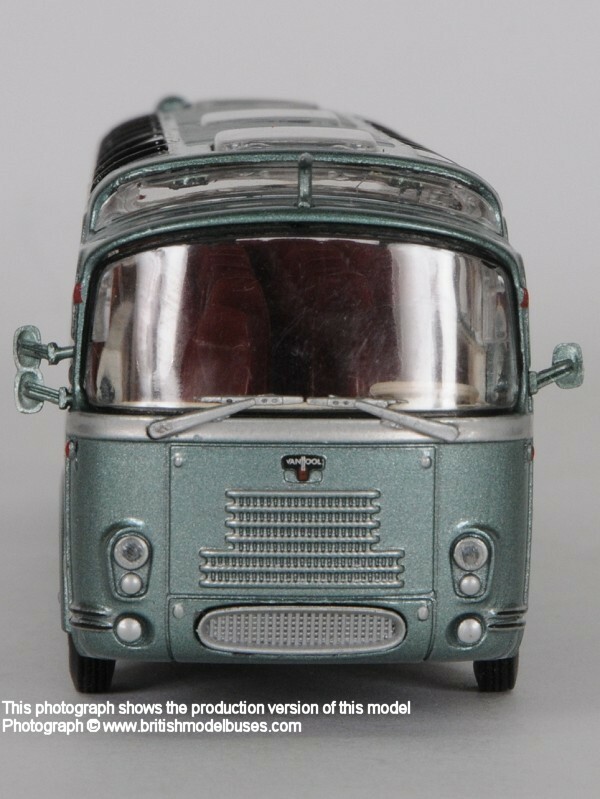 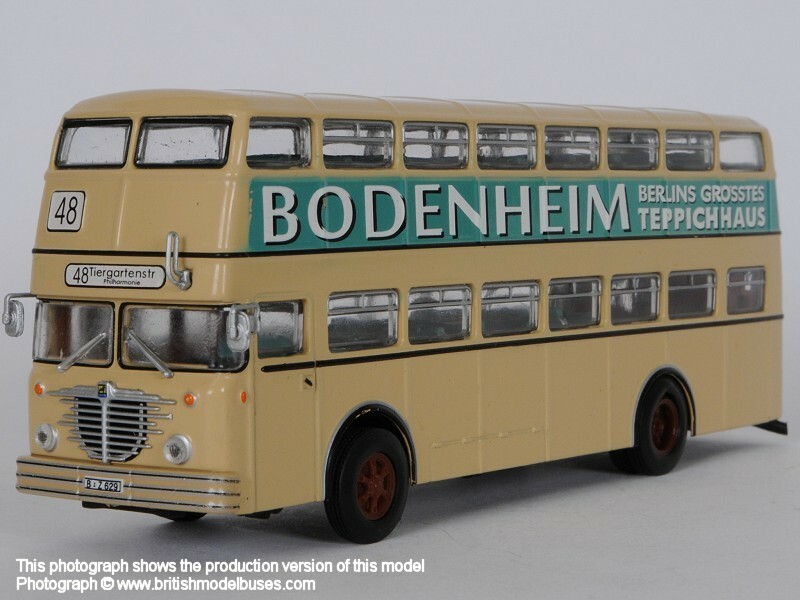 Further to my News of last evening, the London Bus Museum have advised that they added some additional stock of the model to their on-line shop earlier today. 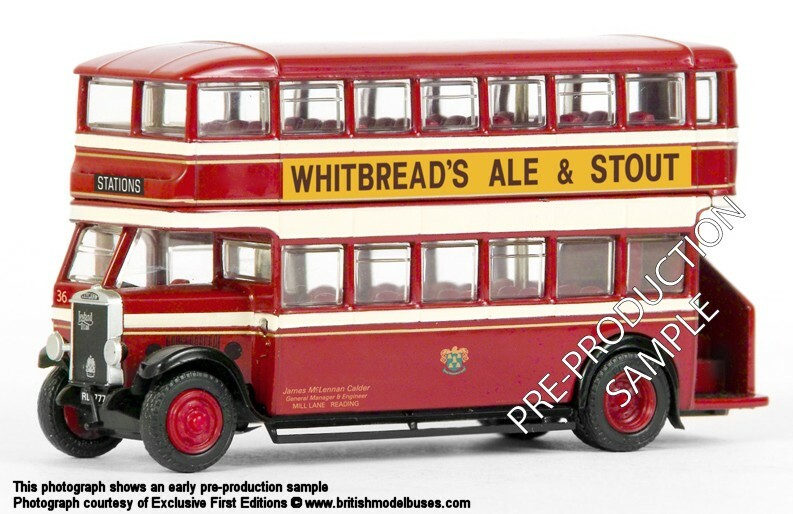 After mail order records have been processed any remaining stock will be allocated for on-line sales. 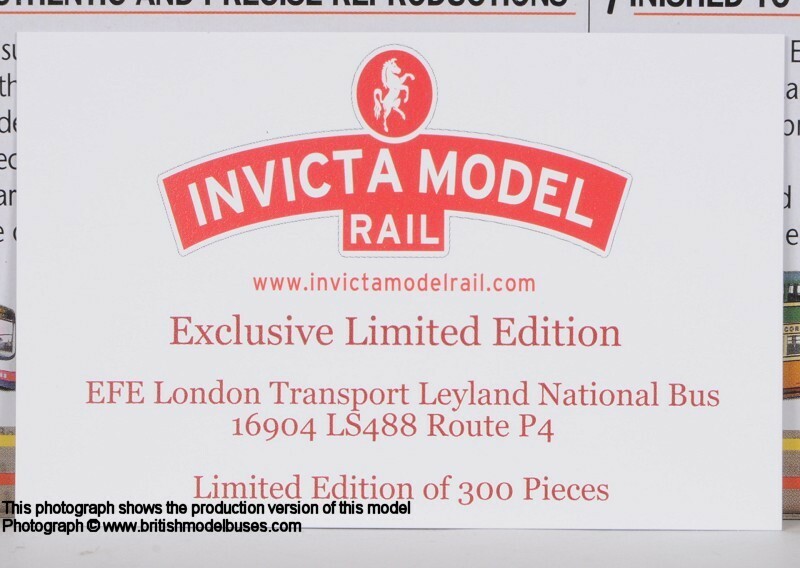 Further to my News of last evening, thank you to Ian Kirby and Peter Rigarlsford for advising me that issue 1 is priced at £1.99, issue 2 is £4.99, the remaining 98 magazines will be charged at £7.99 per week. 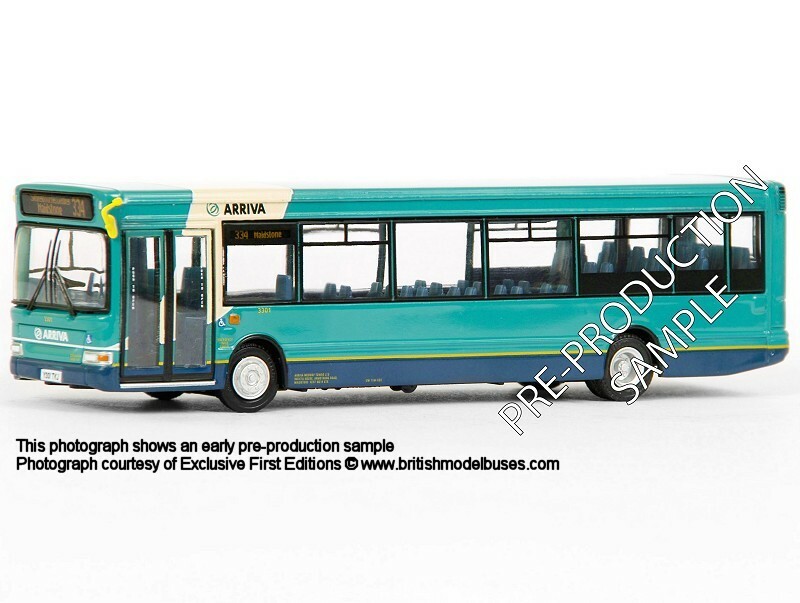 This means the model will cost in the region of £800 and take two years to complete. 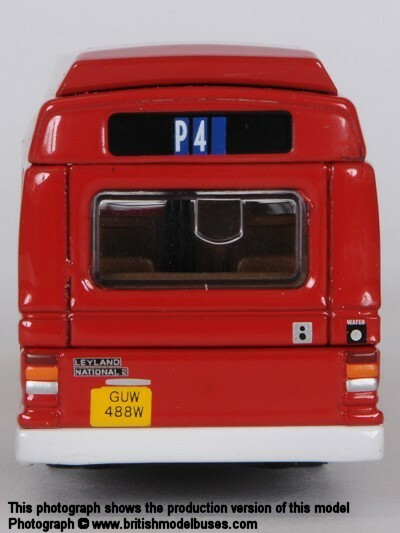 Many thanks to Paul for advising me that a new Part-Work magazine is now available in newsagents, which each week comes with the parts to build your own Routemaster model. 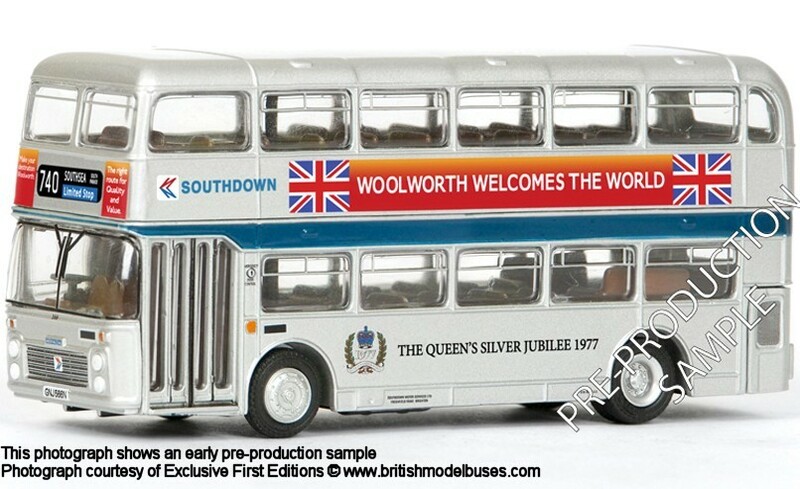 I understand there will be 100 issues being priced at £4.99 each. 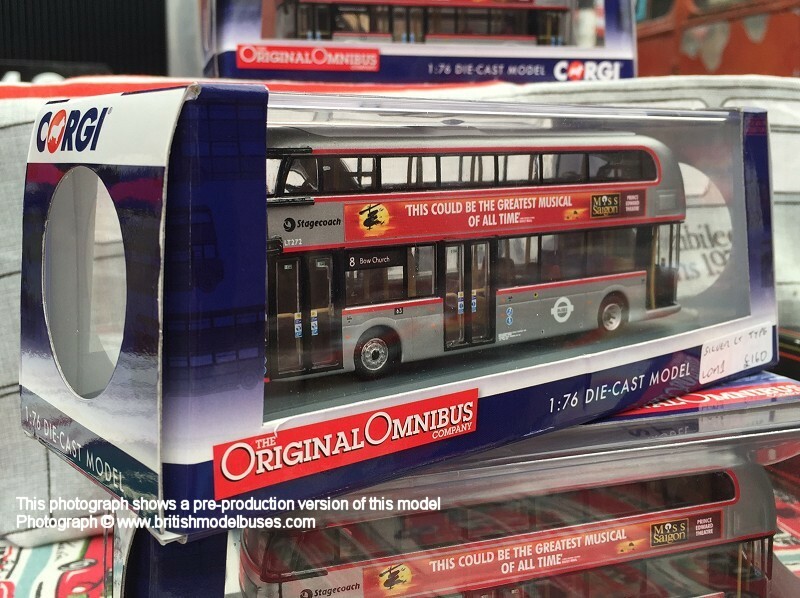 The first issue is cheaper and there are a selection of gifts with the first few issues including an "Exclusive" Oxford Diecast Routemaster to accompany the model you can build. 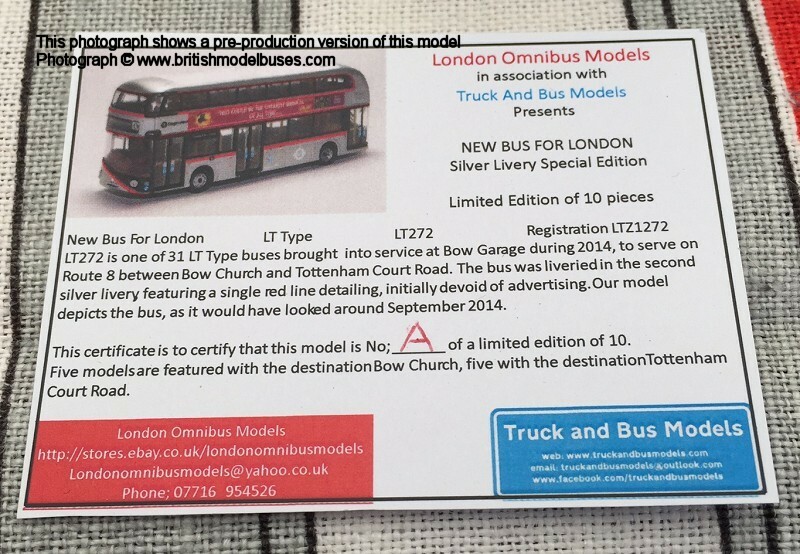 You can subscribe to the magazine but I am not aware if it is cheaper than buying from your newsagents shelves CLICK HERE to view a link to the publishers website. 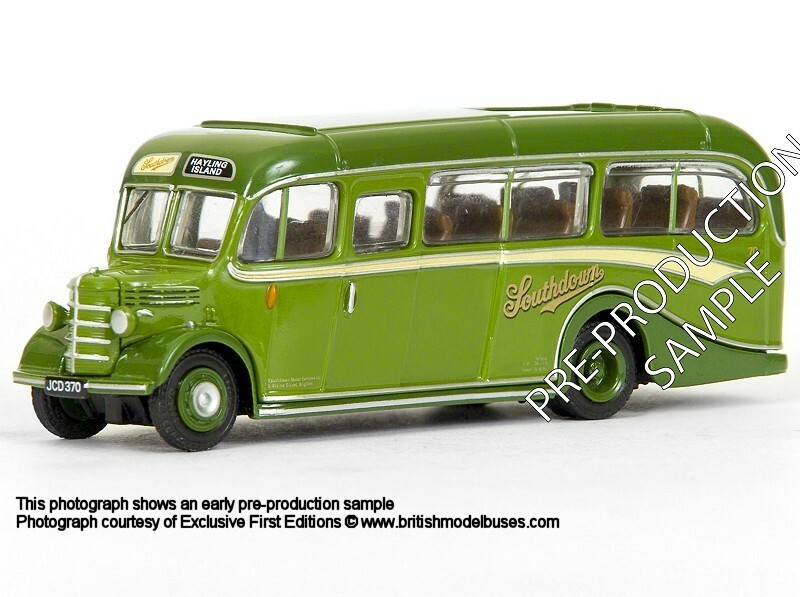 The London Bus Museum Jotus commissioned show model was on sale today and was selling very well. 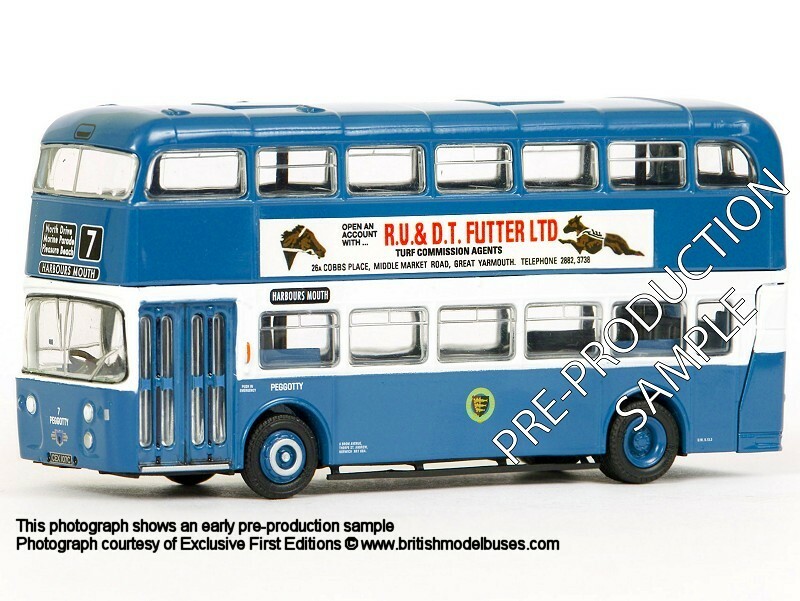 I hope to add some photographs of the production version over the next couple of days. 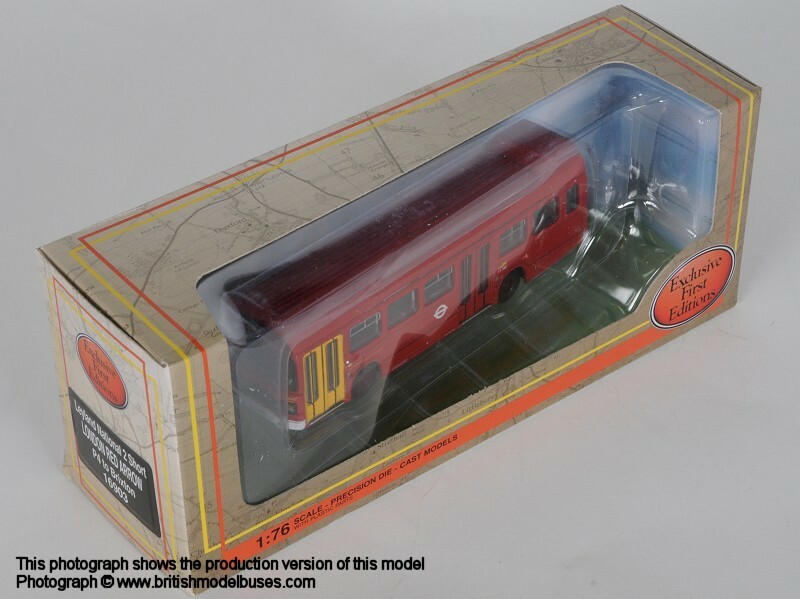 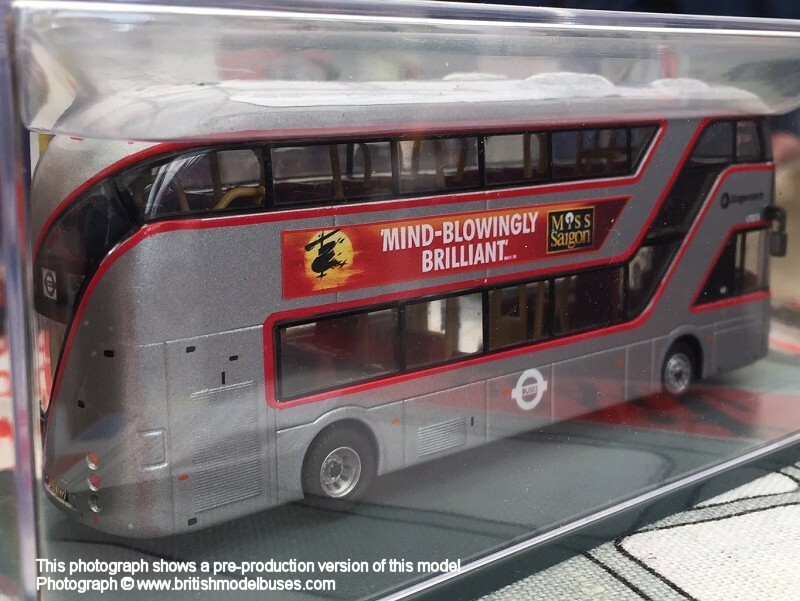 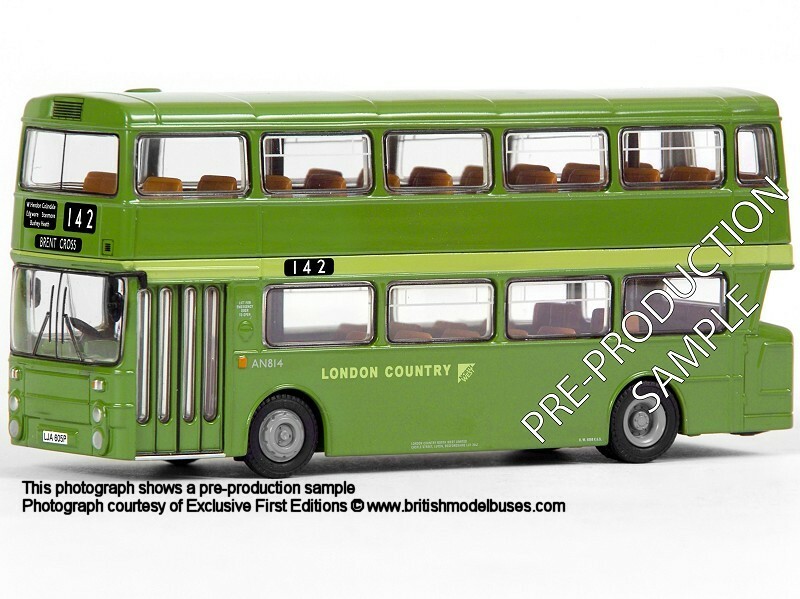 London Omnibus Models, produced a Code 3 New Routemaster in Stagecoach London silver livery. 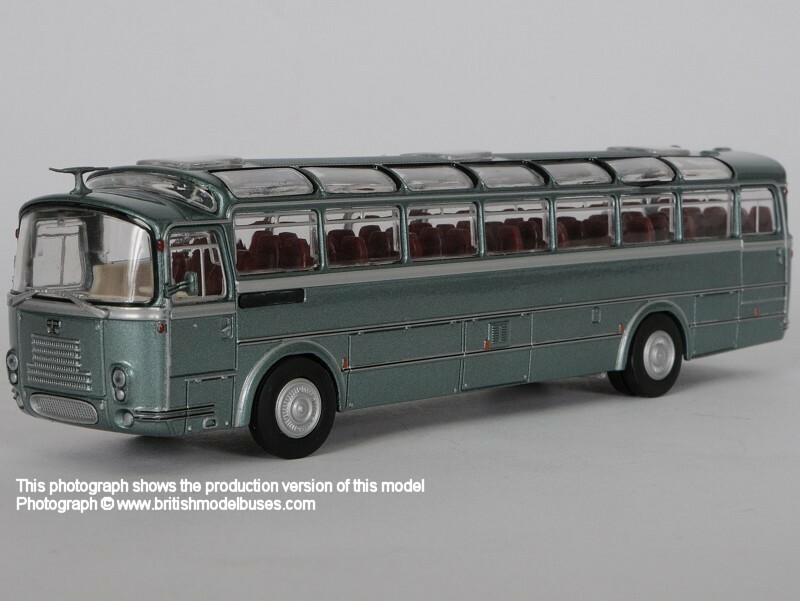 Only 10 models were produced (plus pre-production sample which was presented to the Museum). 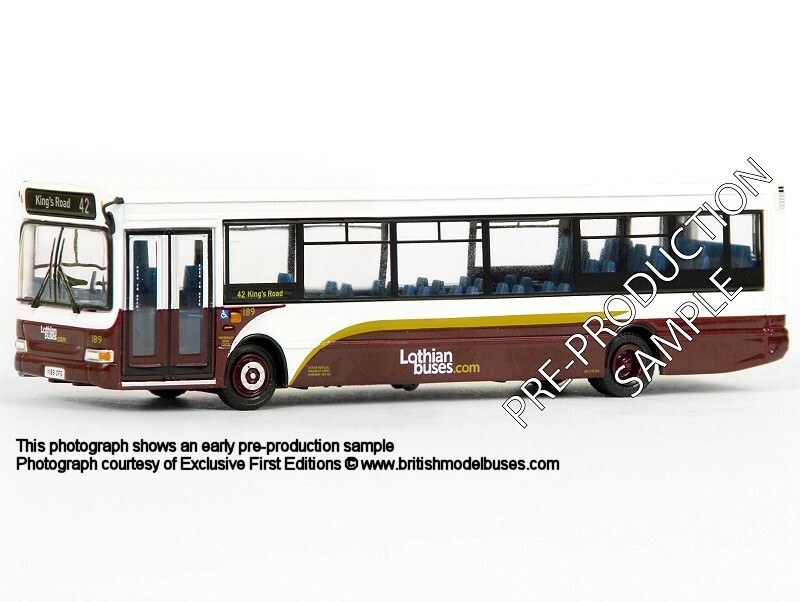 My photograph show the sample model LT272 (LTZ 1272) and the accompanying certificate. 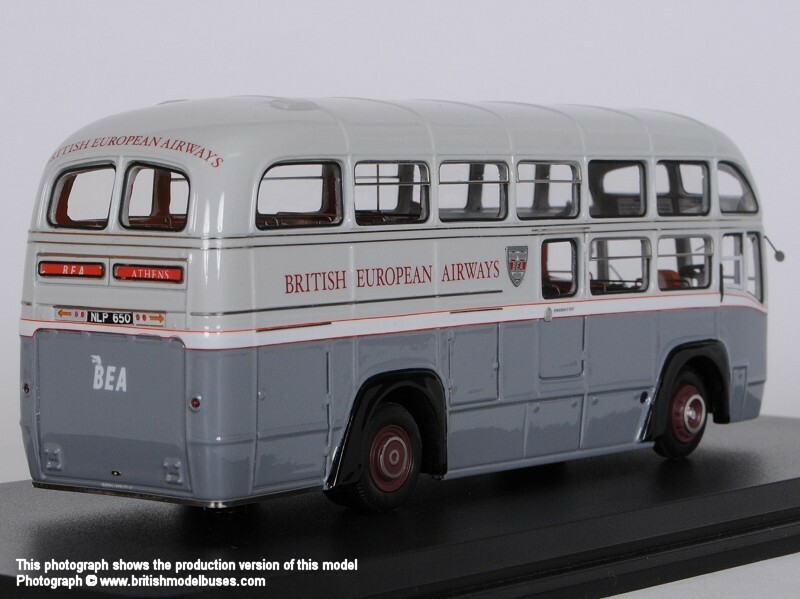 The models were priced at £160.00 each (which included a £10.00 donation to the Museum) and appeared to have sold out quite quickly. 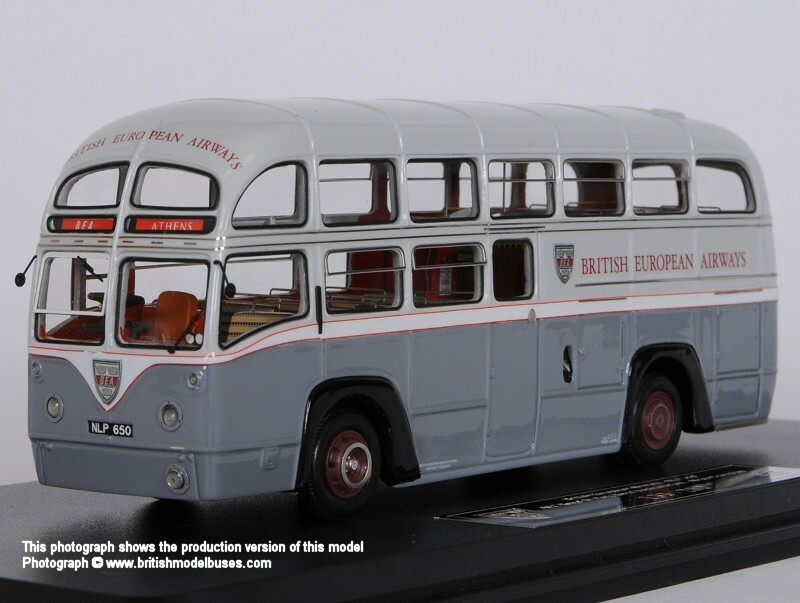 Further to my news of 19th March, click on the links below to view photographs of the models. 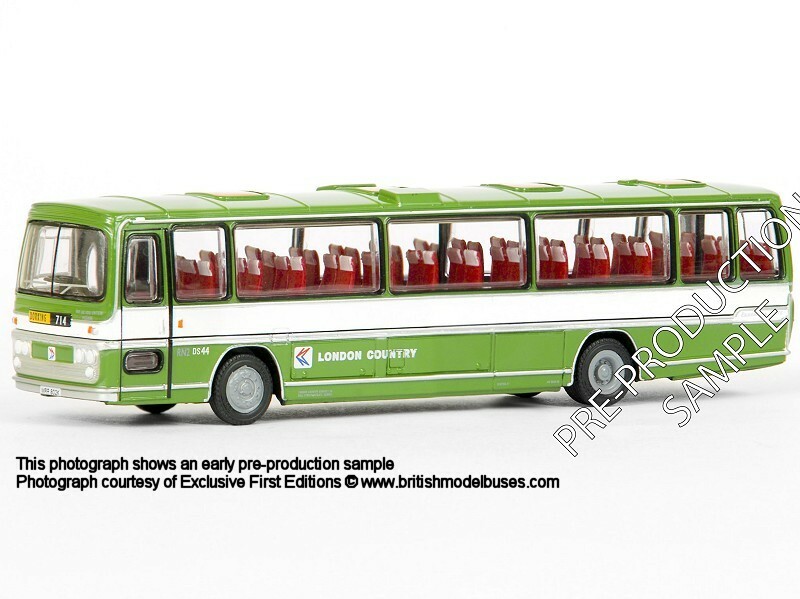 I received a list of Corgi's proposed releases between today and week commencing 11th May. 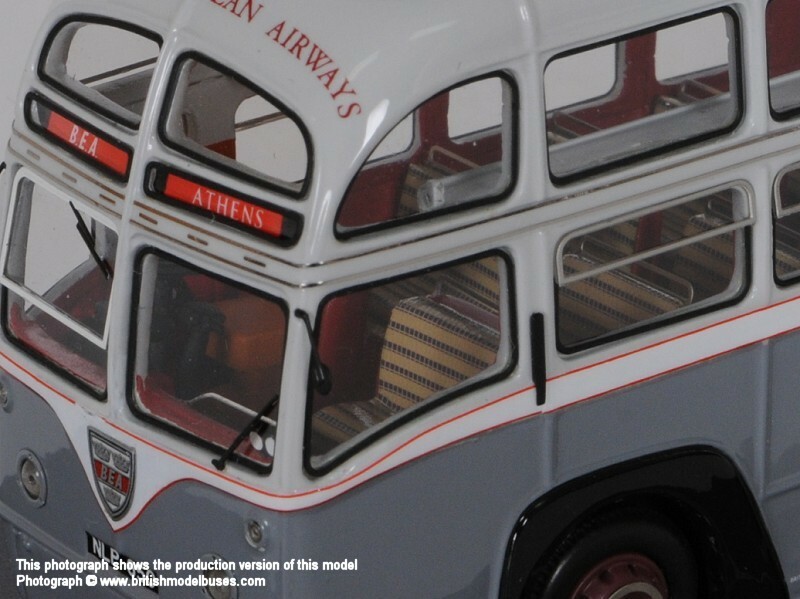 There are NO OOC models currently scheduled for release during that time. 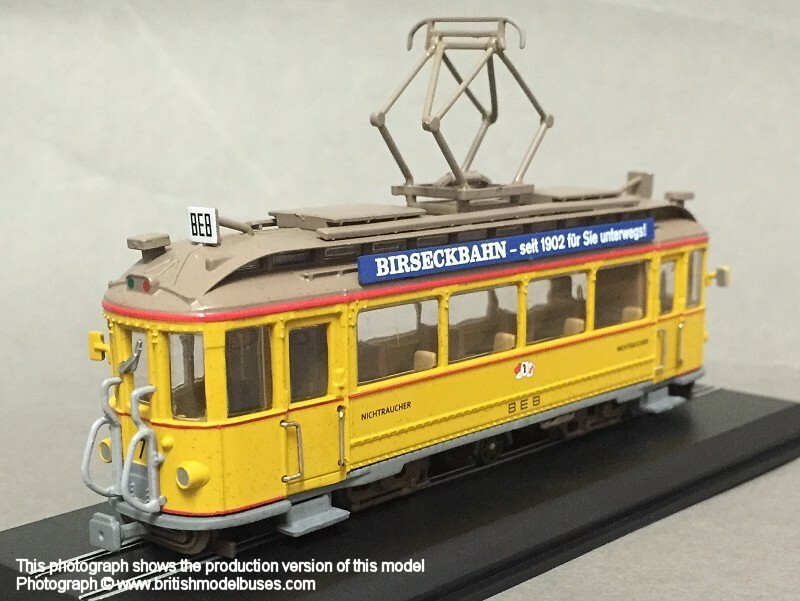 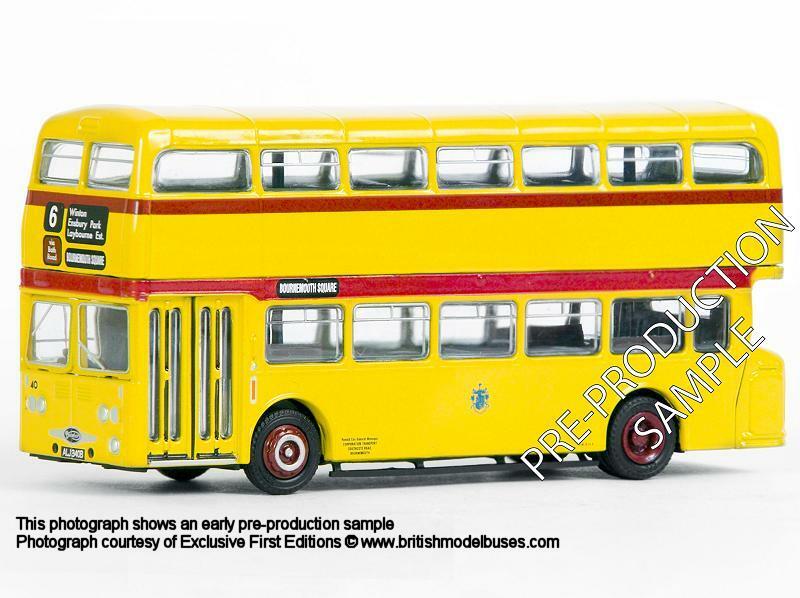 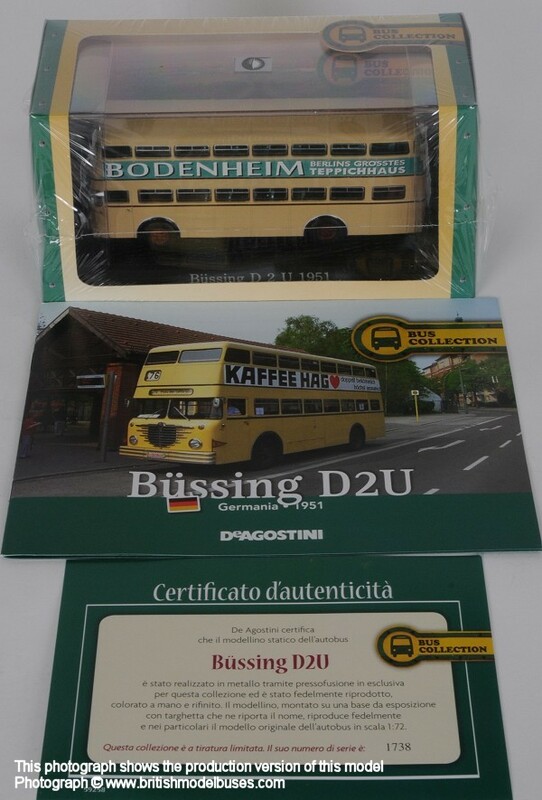 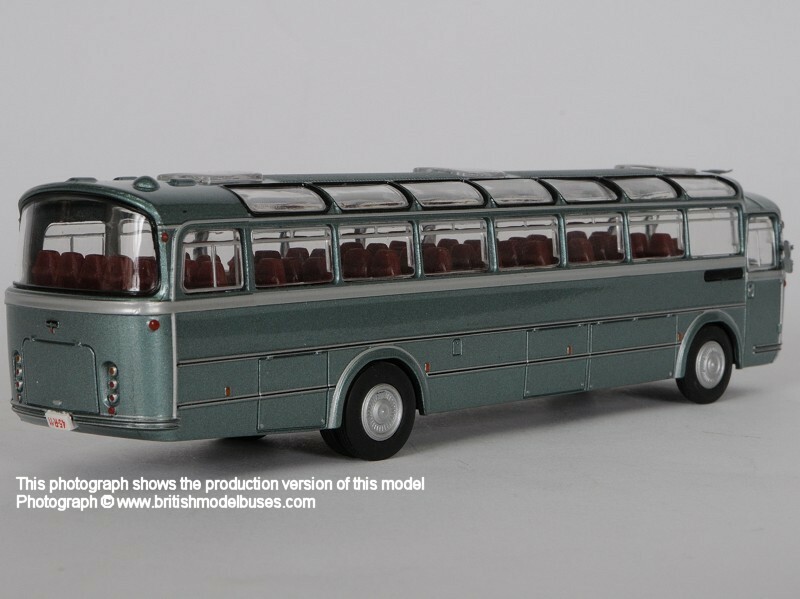 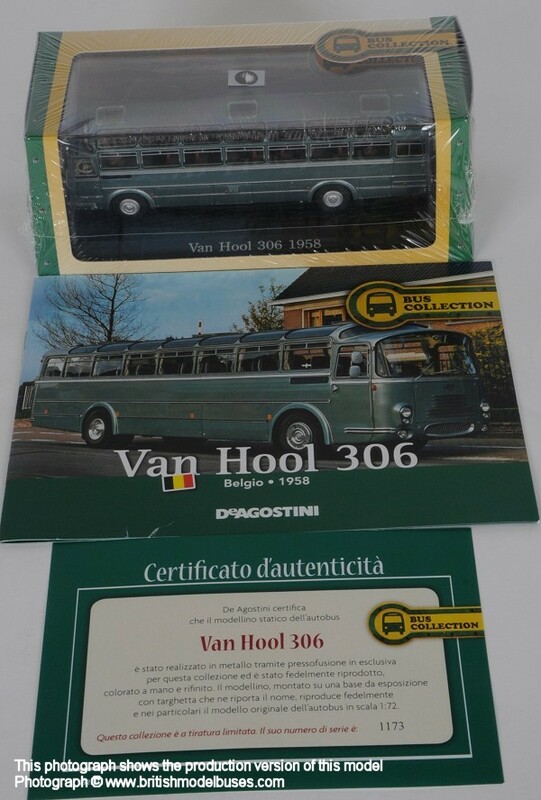 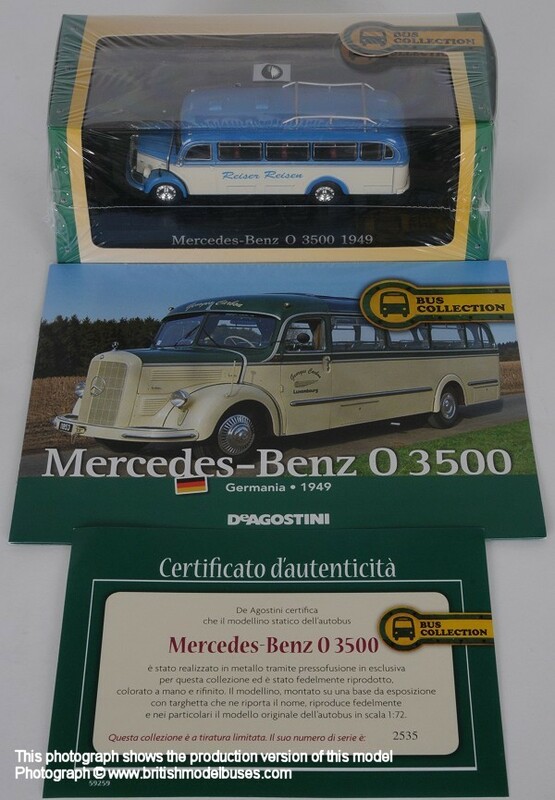 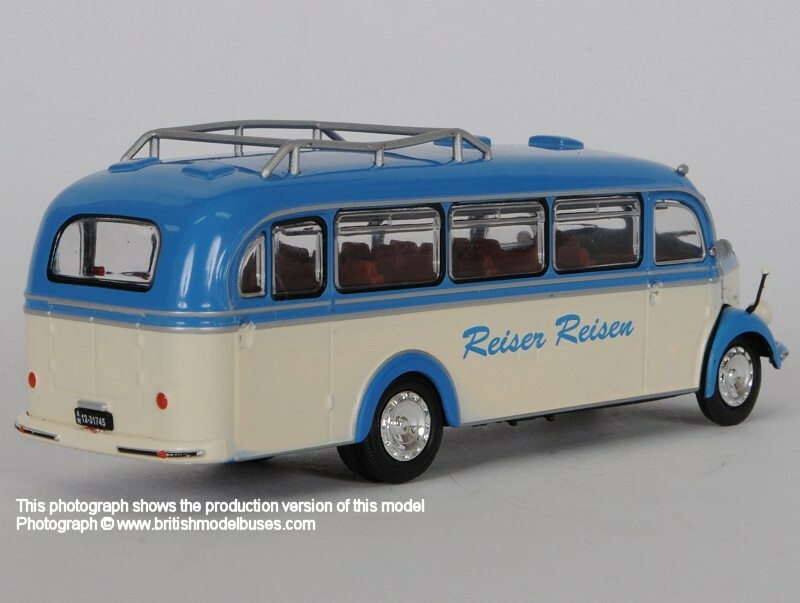 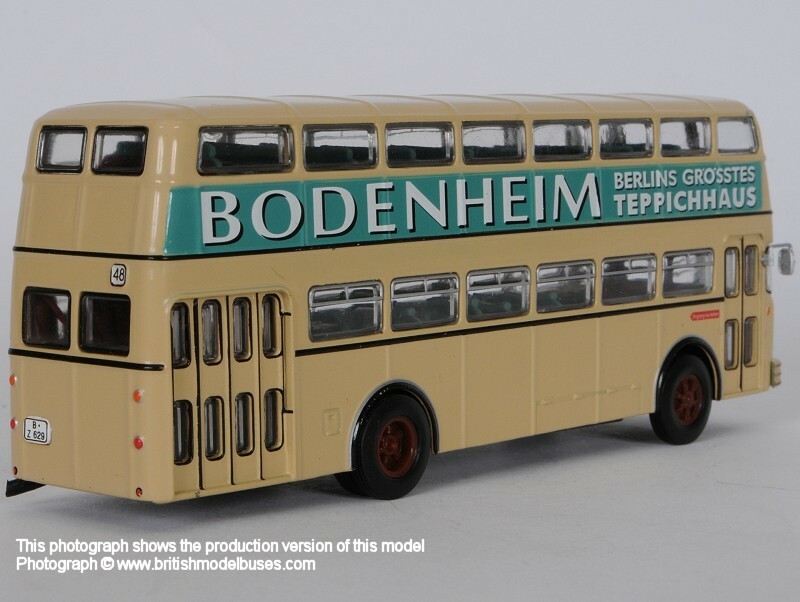 One of my Irish contacts has contacted me and advised that his friend Brian Collins (Brian Collins Enterprises) who commissioned the two Corgi Dublin Bus Gemini models has commissioned two further models from Corgi which is hoped will be available for release between September and December this year. 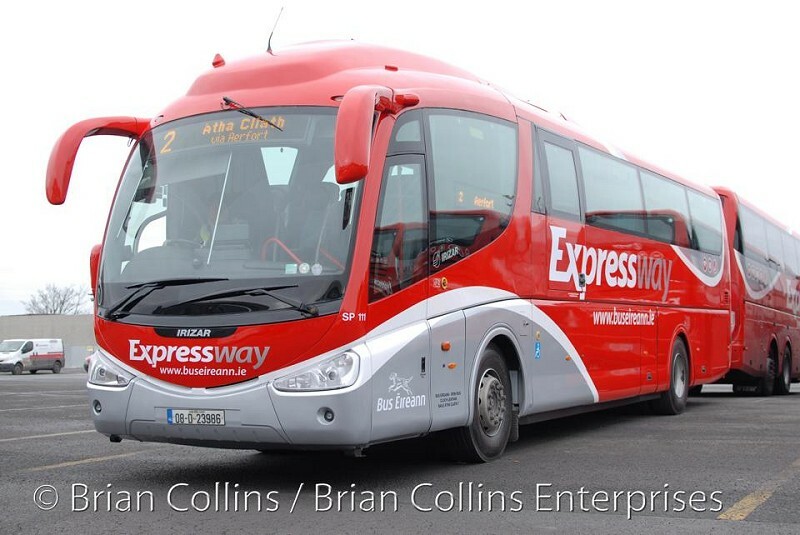 The two models will feature a Scania Irizar in Bus Eireann Expressway livery modelled on fleet number SP111. 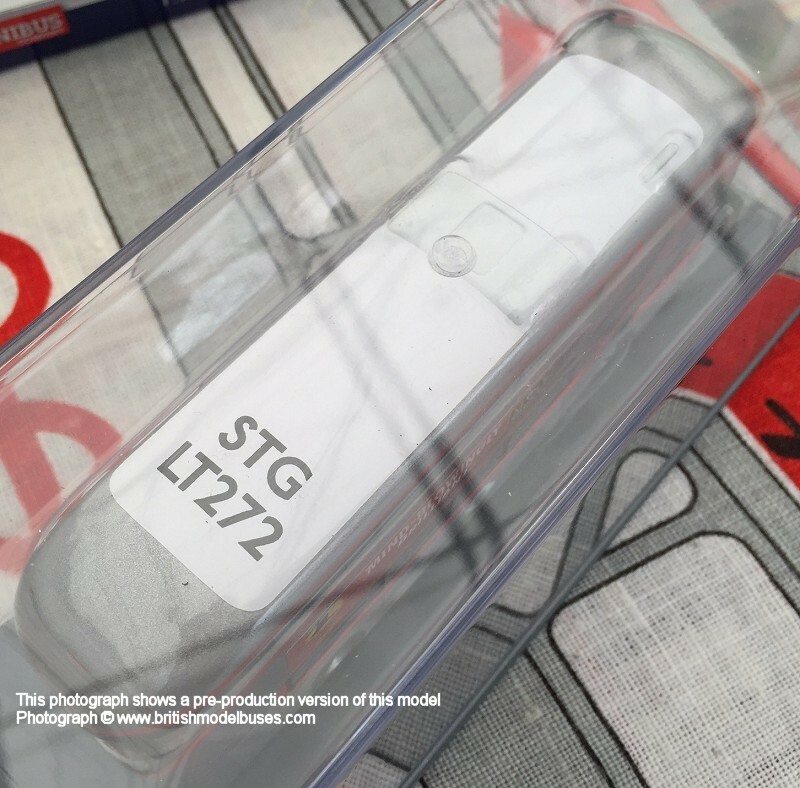 Click on the links below to view a photograph of SP111 in the livery as to be modelled and a screen shot of Brian Collins announcement on his Facebook page giving additional details of the model. 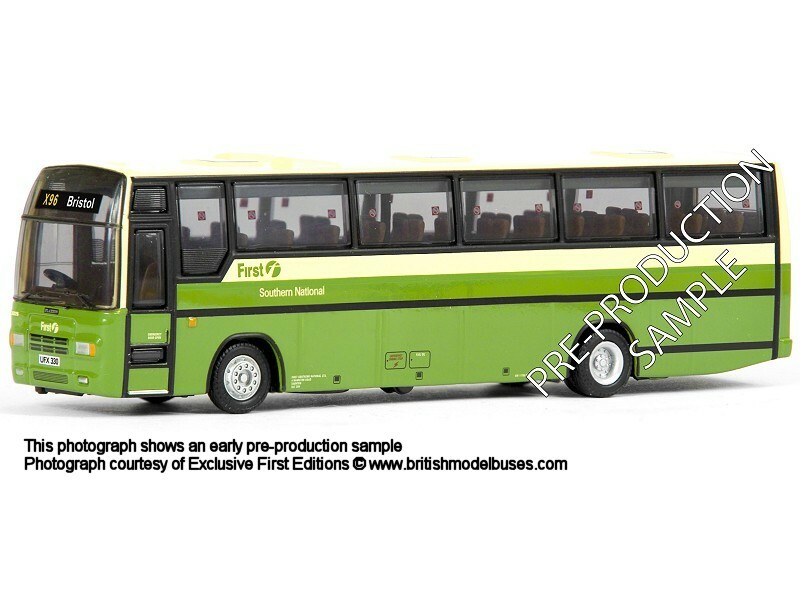 Both photographs are courtesy of Brain Collins Enterprises. 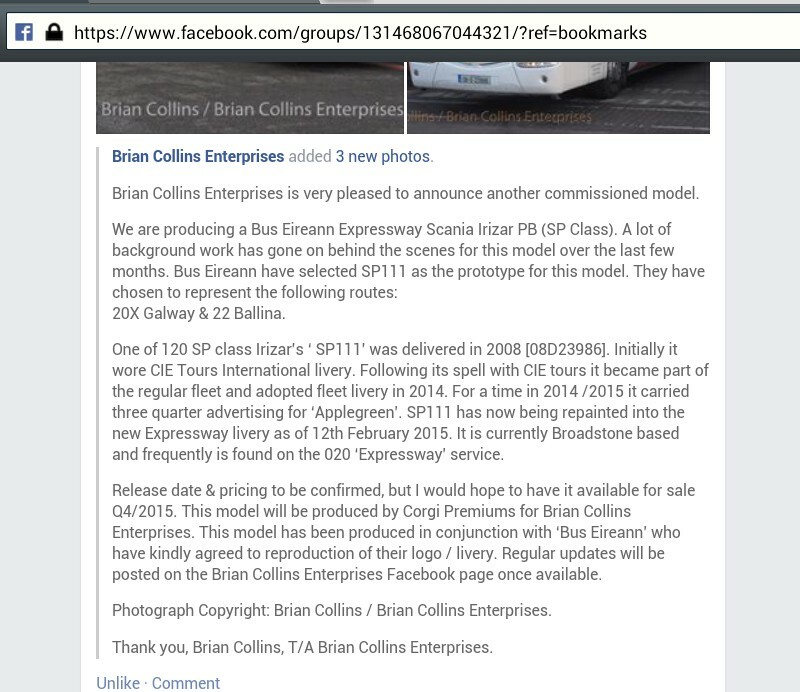 Brian's website is www.briancollinsenterprises.ie (unfortunately this appears to be offline at the time of writing) and is on Facebook as Brian Collins Enterprises, orders for the new coach can be placed by leaving a message on Facebook. 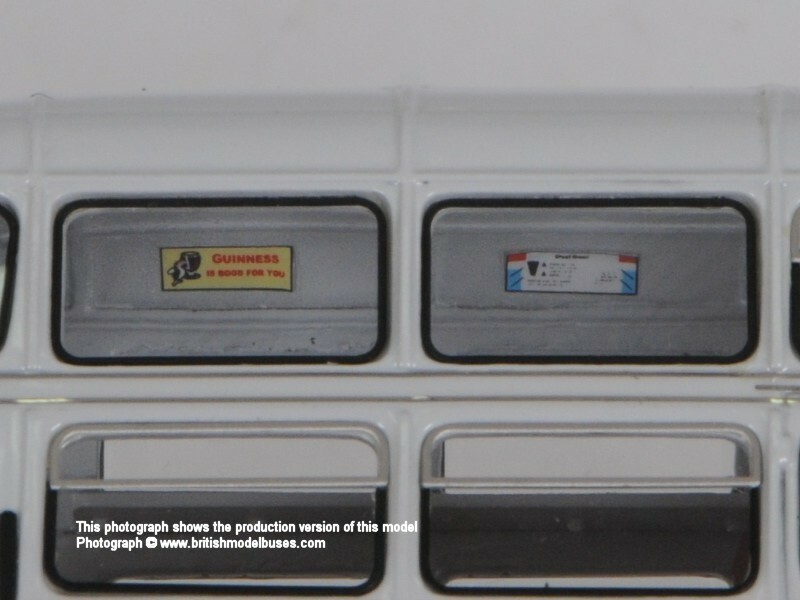 Registration number G554 SSP, fleet number VSR 689. 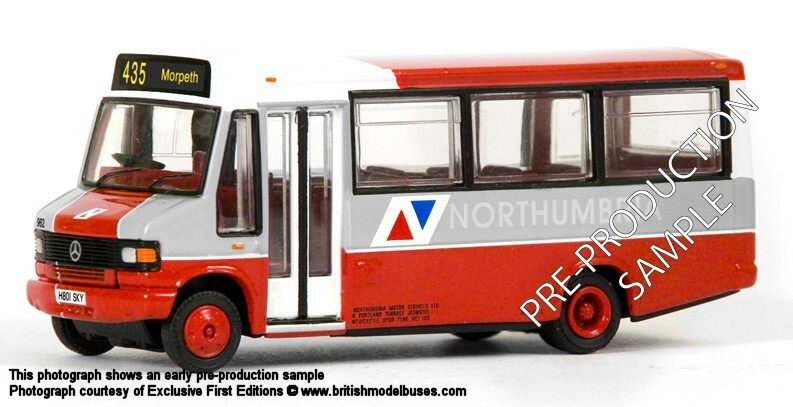 Works route 860 to Glasgow. 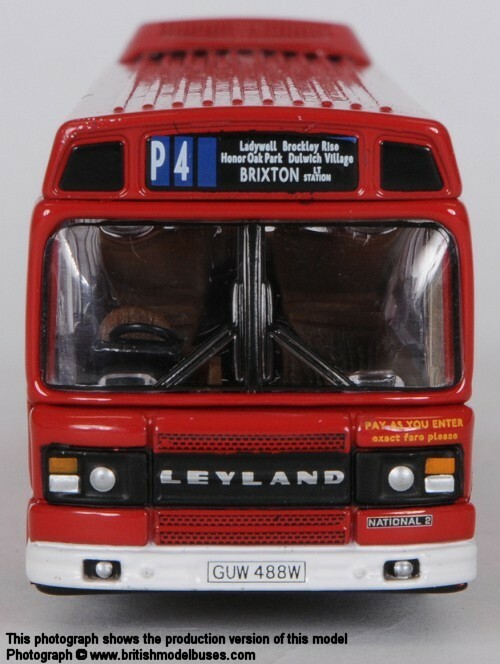 Registration number RD 777, fleet number 36. 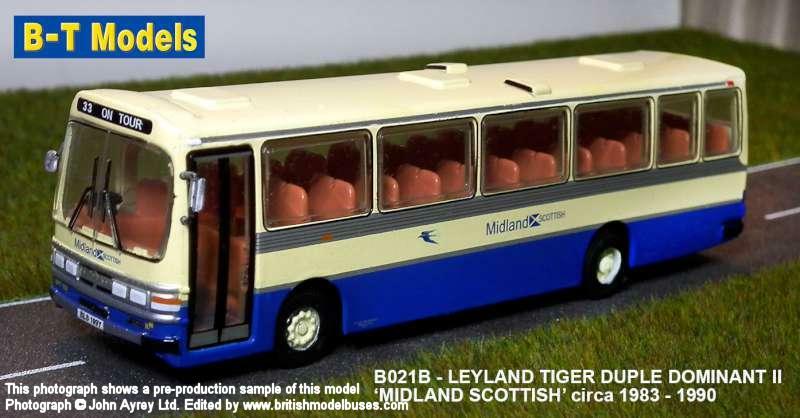 En route to Reading’s Stations. 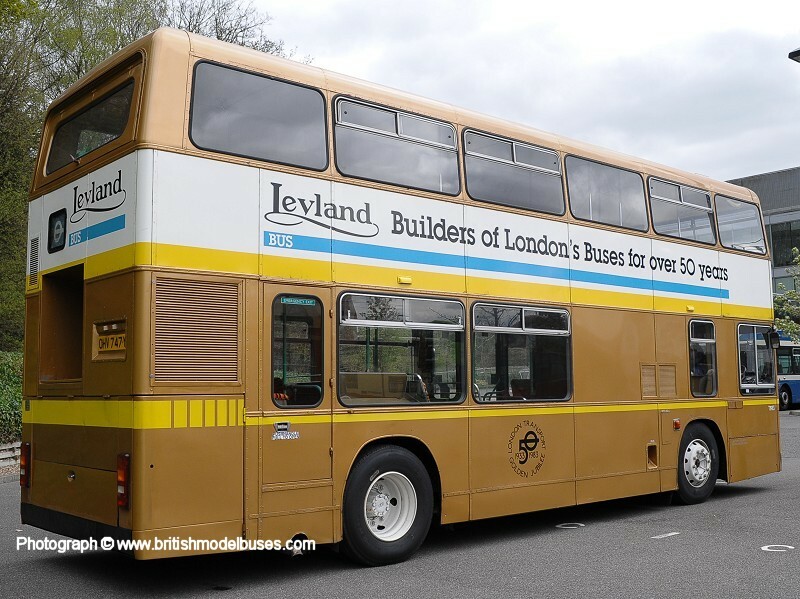 The London Bus Preservation Trust Ltd holds its 42nd Season Opening Event at Brooklands Weybridge on 19th April 2015 between the hours of 10.00am and 5.00pm. 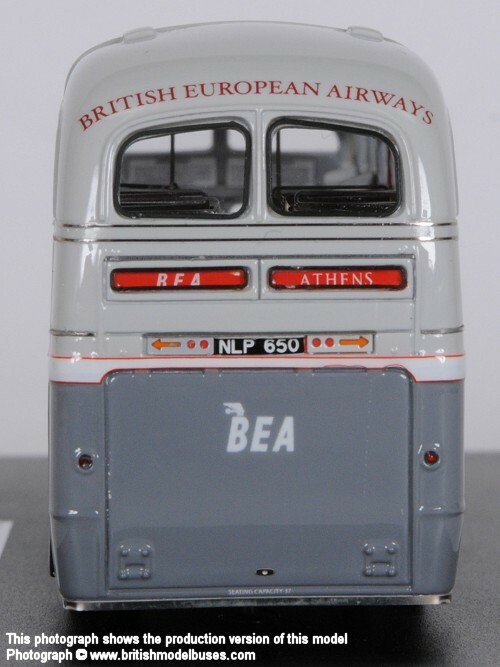 This year the theme is Aviation and we will have a selection of single and double deck vehicles in their distinctive liveries reminding us of the times when they ferried passengers from the old Cromwell Road Air Terminal to London/Heathrow Airport. 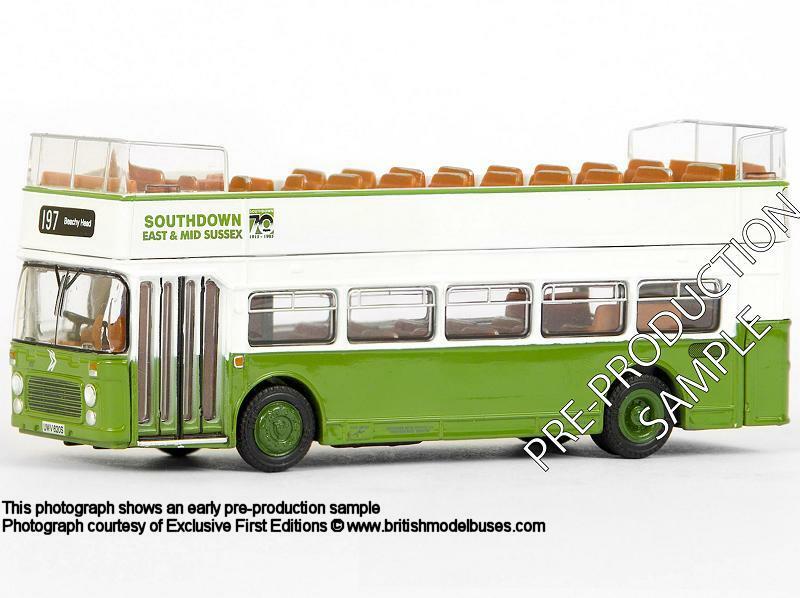 The distinctive one and a half deck vehicles that were used were unique and we have a photo of one of them on the front of our event programme this year. 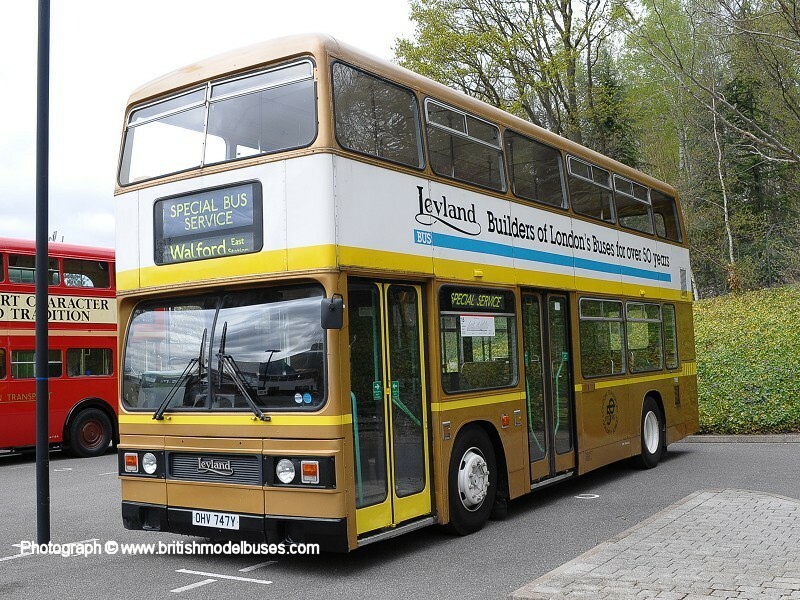 Apart from our usual attractions (vintage and modern vehicle bus rides, rides for the children, many sales stalls, static display of ex London Transport and Provincial Buses) there is of course the full heritage transport collection that Brooklands has to offer. 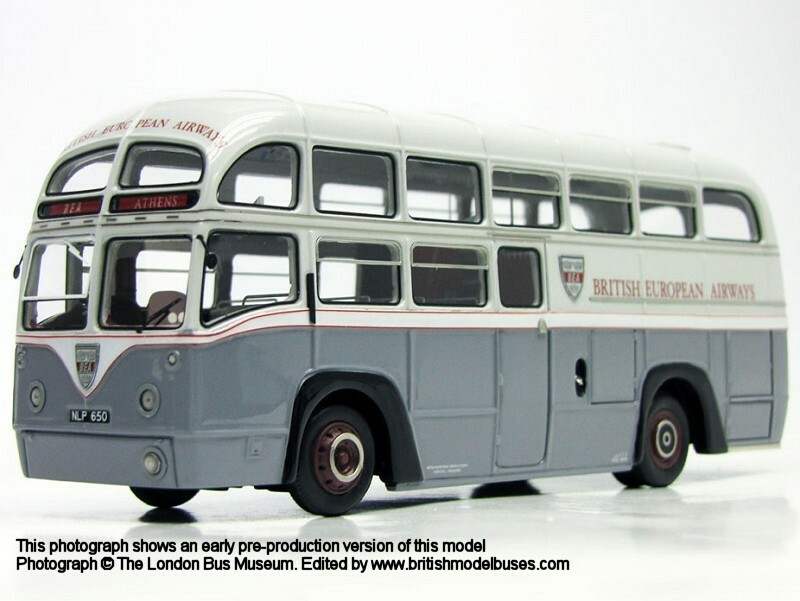 We are promised the latest modern vehicles in LT use, as yet unregistered, and we will also have a special moment at 11.00am in the Paddock by the Clubhouse when London Bus Museum will take into its collection two “new” vehicles. 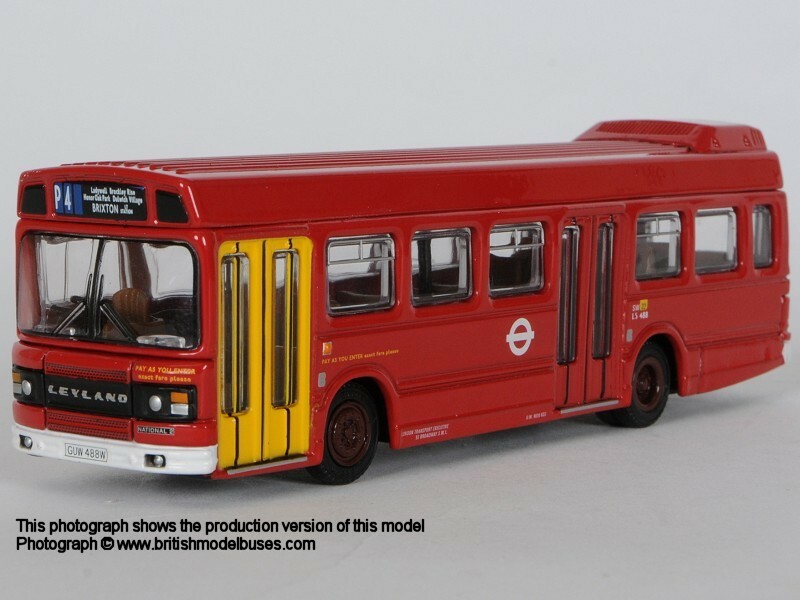 One is RLH48, the only surviving London Transport Country Area Low Bridge bus which saw service from Addlestone Garage, and the other is TA1, a Dennis Trident with Alexander Bodywork dating from 1999, and the first low floor wheelchair accessible double decker in London service. 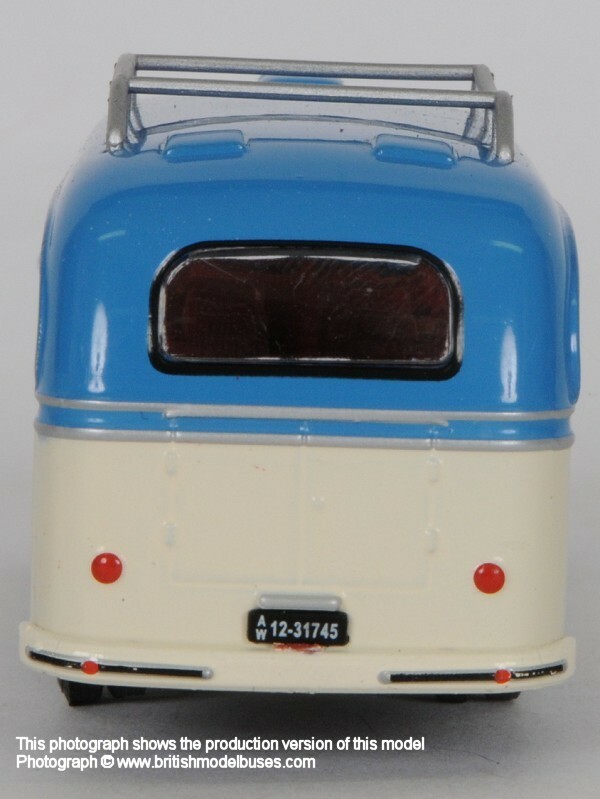 There may be other vehicles included in this Paddock line up which will not be finalised until the day. 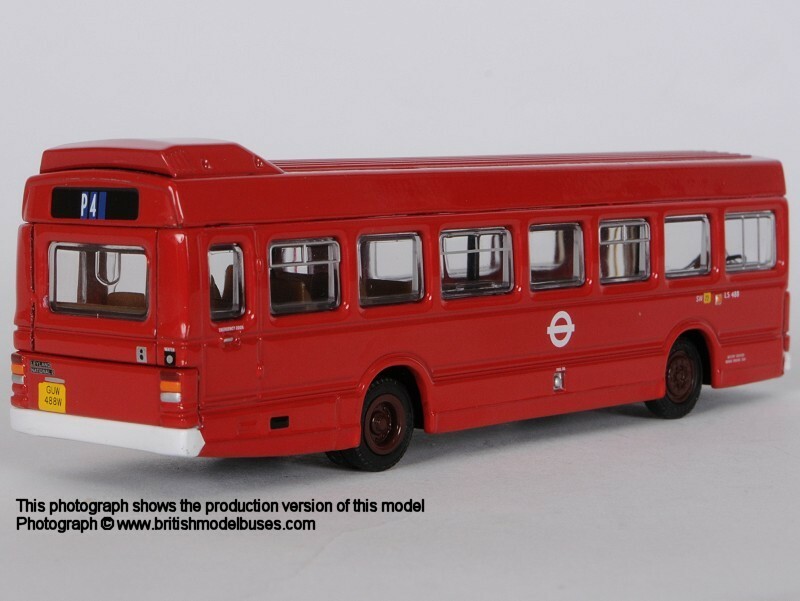 This is so there can be a photo shoot for 15-20 minutes uninterrupted by passing humans and a few words of introduction from the Bus Trust’s new Chairman, Chris Heaps, as he takes on his new duties at London Bus Museum. 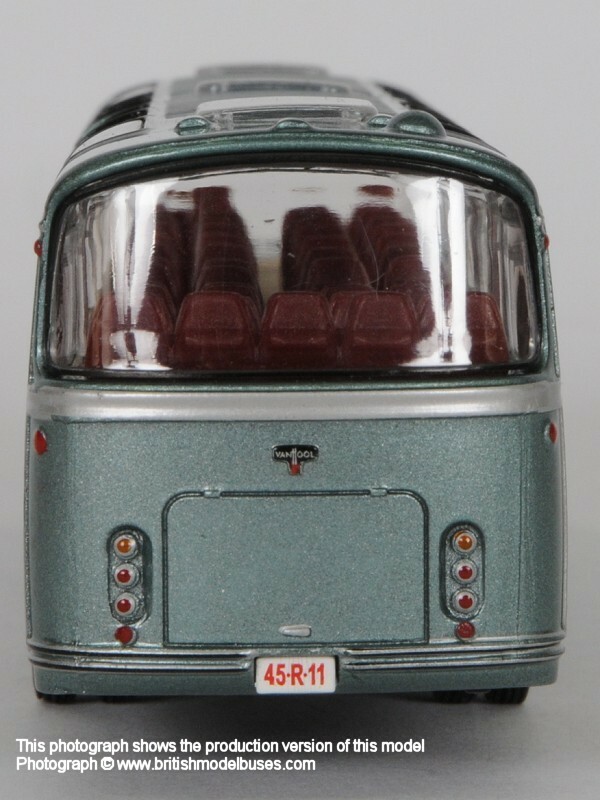 He comes with a wealth of experience in the heritage transport area and has been at two stages in his career a Traffic Commissioner in the West Country and London. 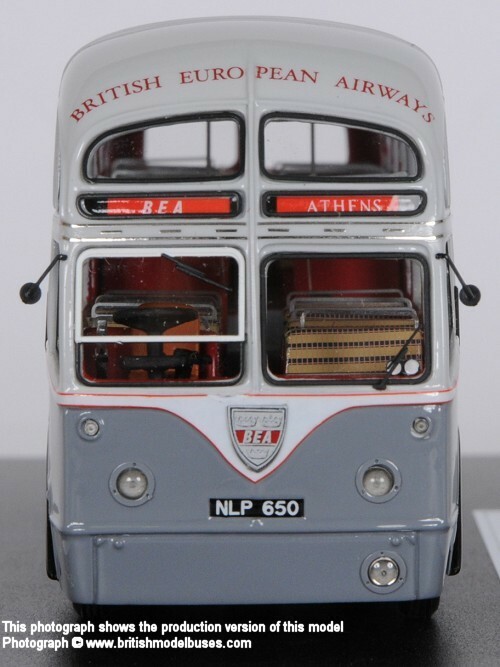 So all in all at the start of the Bus Rally Season, new beginnings and opportunities on a range of fronts. 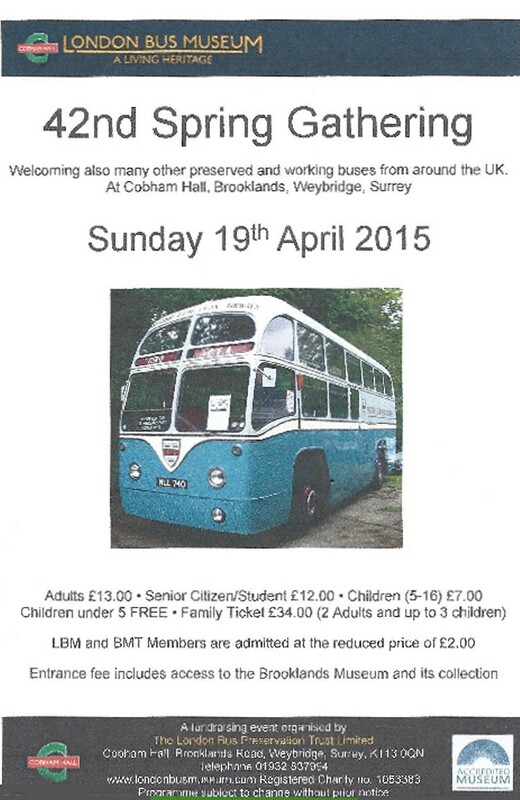 We look forward to welcoming you all to our Spring Gathering this year.